If it can be imagined, it can be done! Analyse, Ascertain performance, Make informed decisions! With an impressive growth rate of 47% in 2013, the Nigerian Stock Exchange (NSE) is one of the fastest growing stock markets in the world . Despite its enviable position, accessibility to the NSE has been impeded by the lack of mobile applications for analysing, presenting and consuming data on the NSE – a huge gap in a world where market transactions are conducted in real time – but that’s about to change! Analyse the Nigerian Stock Market. 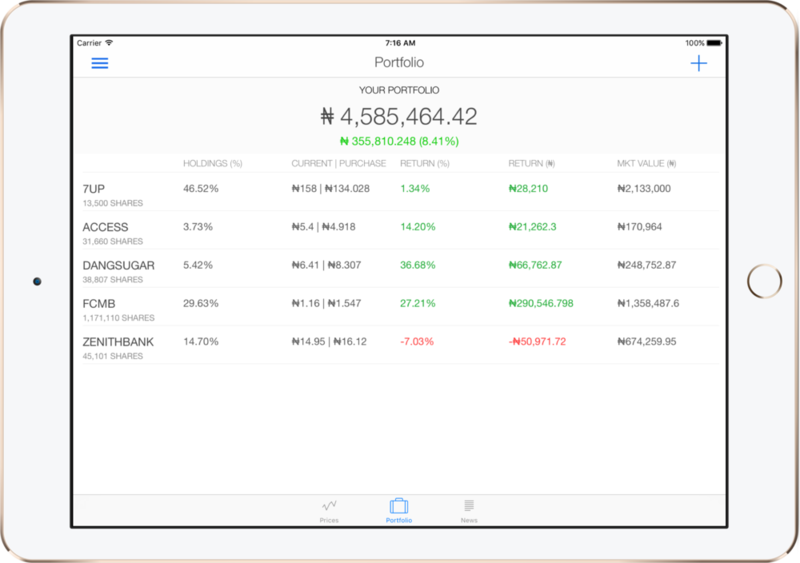 Monitor investments in the Nigerian Stock Market. Yochaa employs an easy-to-use but sophisticated and powerful interface to help you make meaning of financial data. View the performance of all NSE securities in one glance. Custom filters to help you focus on securities you care about. Search and sort functions to make analysis easier. View All Share Index (ASI) performance. 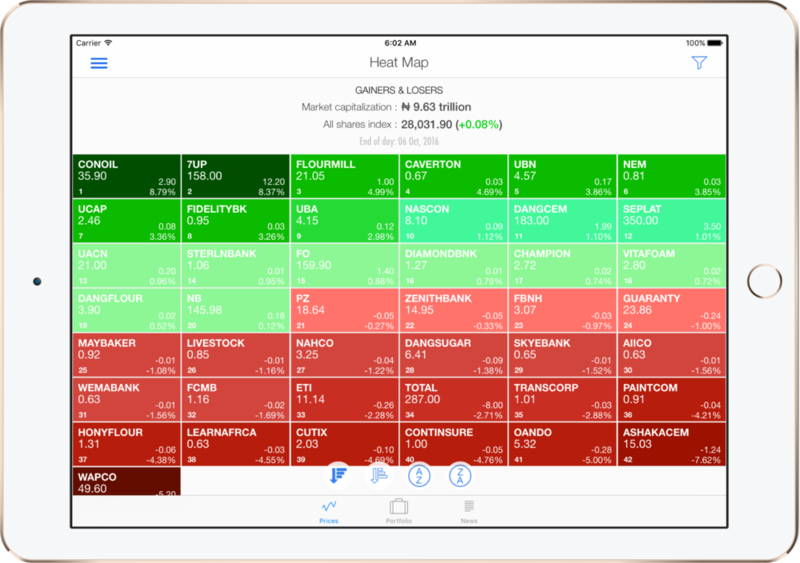 Colour codes instantly show you the state of the market at any time. Historic price charts and traded volume charts for all NSE securities. Delayed real-time price, price change & percent change. Multiple zoom options for high granularity. End of day data snapshot. Monitor the performance of your stocks portfolio with regular price updates. Instantly access useful information on the stocks you own - eg history of purchases, average cost price vs current market price, return on investment, percentage holdings, etc. Create a trial account and start buying and monitoring dummy stocks before making real commitments. Regular finance news updates from different business and investment news specialists. Streamlined presentation style makes it easy to quickly search for headlines of interest. Viewing an article takes you to the full content-rich website of the third party provider. Easily share news articles with others. Is it possible to invest without losing money?